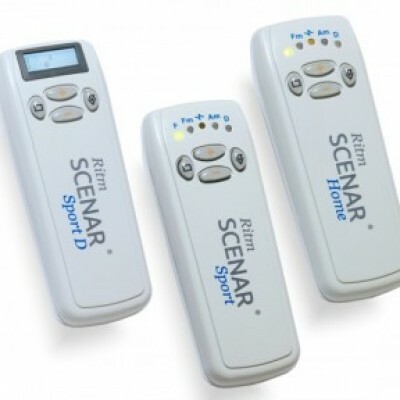 RITM SCENAR® Personal range of devices - Home, Sport and Sport D, are electro-therapy devices with built-in electrodes that deliver complex electrical impulses through the skin to give pain relief. 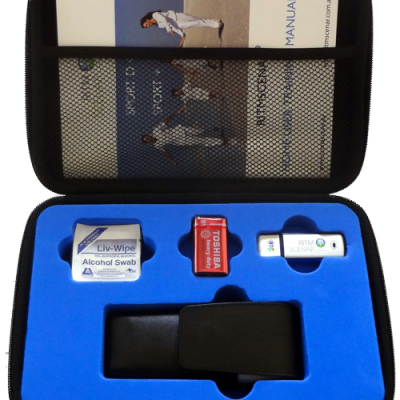 RITM SCENAR® Sport D is designed for home users to manage their pain and to speed up the recovery process from acute and chronic pain, sport injury and post operative pain. 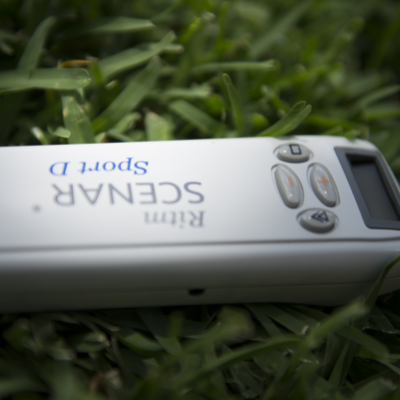 The RITMSCENAR® Sport D is the top of the range of the personal SCENAR devices family. It is identical in functions to the RITMSCENAR Sport model but is equipped with an LCD screen. The screen displays energy strength, treatment progress, current settings and skin contact indication which make the device very easy to use and operate. 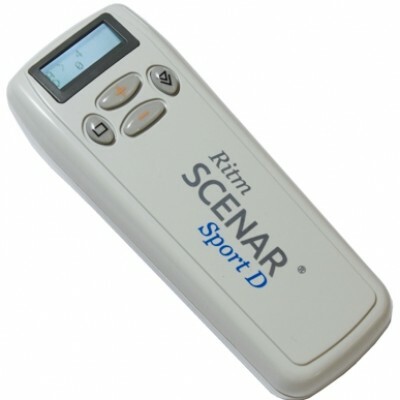 The RITM SCENAR® Sport D supports one auto mode called Dose 1 Mode and one screening Mode - Dose 2. 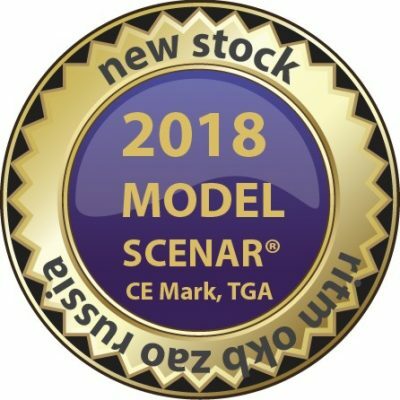 This is the newest development in SCENAR technology by RITM OKB ZAO. In Dose 2 Mode, the device screens the treatment area by reading the skin reaction and displaying the best areas to treat on the LCD. It is used for treating larger body areas such as the back, chest and the abdomen. 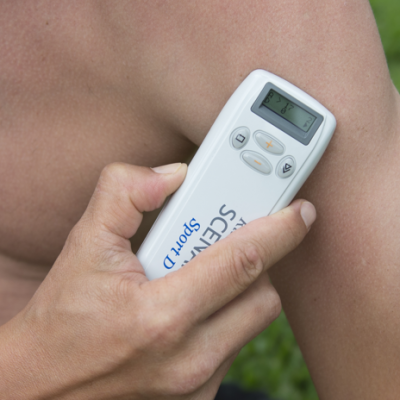 The RITMSCENAR® Sport D supports four impulse Frequencies – 14Hz, 60Hz, 90Hz and 340Hz, suitable for treating degenerative processes (low frequencies) or inflammatory processes in acute state (high frequencies). This allows the user to select the most appropriate treatment setting for the phase of the painful condition. 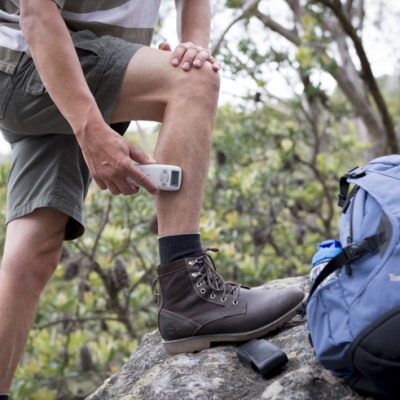 The Amplitude Modulation feature in RITMSCENAR® Sport D is fixed to 3:1 and is very effective in the treatment of pain in muscles and ligaments. 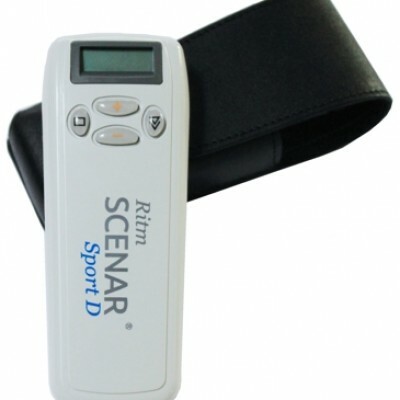 The RITMSCENAR® Sport D also supports Frequency Modulation in the range of 30Hz to 120Hz. This setting is commonly used to create a change in the painful condition.